Save Our Schools Network scored North Cotabato Congresswoman Nancy Catamco for weaving absurd and extremely fabricated story about the real plight and demands of lumad evacuees in Davao City, saying that the solon has gravely abused her privilege time in Congress to muddle the issue of militarization in Mindanao. According to SOS Network lead convener and Salinlahi secretary general Kharlo Manano, Cong. 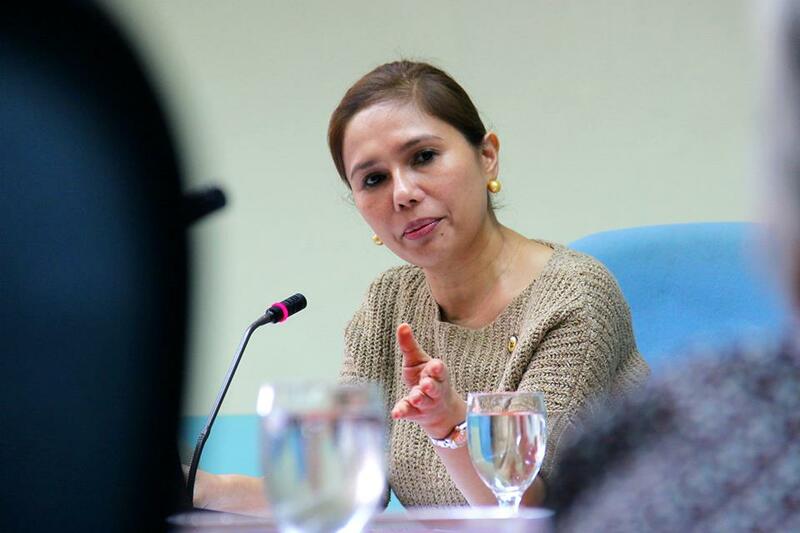 Catamco, in her speech, claimed that the lumad evacuees in UCCP Haran, Davao City continue to suffer due to the inhumane conditions in the sanctuary, accused human rights groups of manipulating and using lumads in rallies and for their own political propaganda. “Instead of correcting her faults, she [Cong. Catamco] further isolated herself from the lumads who continue to languish due to the prolonged military presence in their areas. 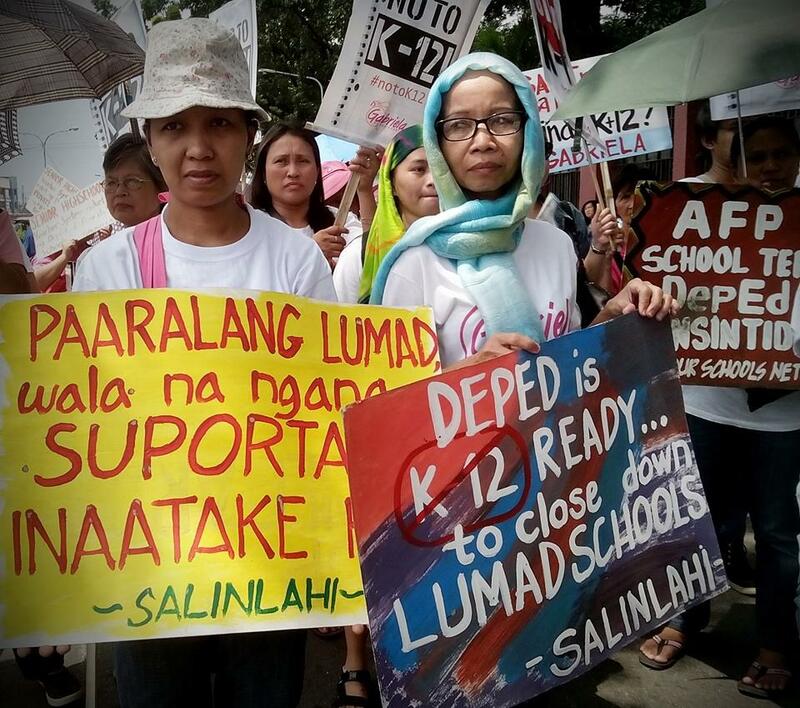 She did not only insult her fellow lumads but also belittled them, implying that they are unable to decide and act on their own”, Manano said. He said that SOS Network invited Cong. Catamco last July to join the fact-finding mission in Davao Oriental and visit the evacuation center hoping that she could give light on the issue of military encampment in communities and lumad schools which have resulted to massive displacement of indigenous communities. “However, she proved herself as a savior not of the lumads but of the AFP by giving a blanket of protection over state forces and its paramilitary groups who are known to be the perpetrators of numerous human rights violations”, Manano added. 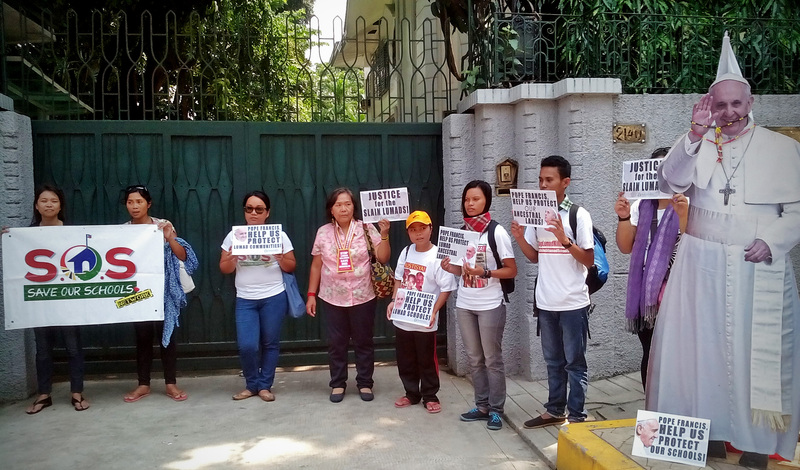 At the same time, Manano chided the congresswoman for continuously discrediting the report of Mr. Chaloka Beyani, United Nation Special Rapporteur on Internally Displaced Persons about the lumad evacuees during his official visit in the Philippines. “It is very shameful that even the statement of high level agencies diplomat is being manipulated and put at question in an effort to solidify and prove their false claims”, Manano said. North Cotabato Congresswoman Nancy Catamco. Photo from Rep. Catamco facebook page.